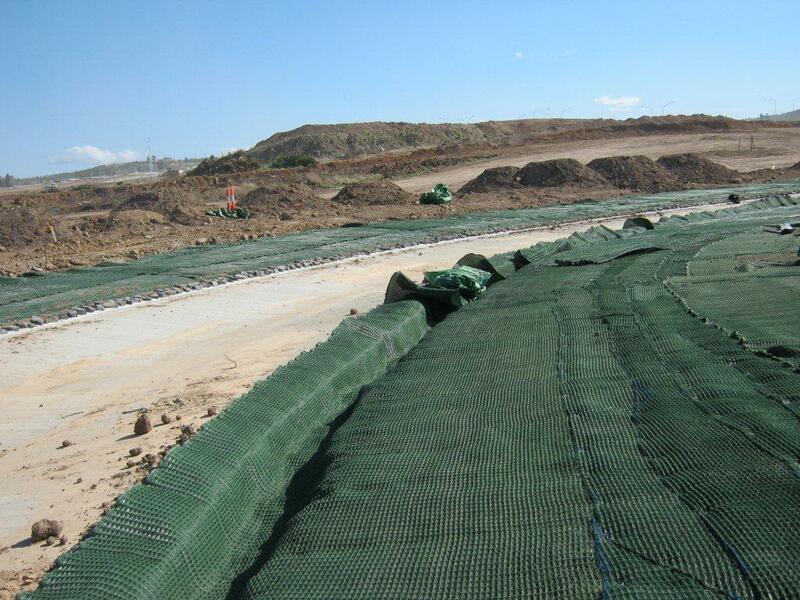 Pyramat® 75 High Performance Turf Reinforcement Mats (HPTRMs) are equipped to handle the most demanding erosion control applications. Patented Pyramat® 75 three-dimensional construction makes HPTRMs ten times stronger than traditional TRMs. 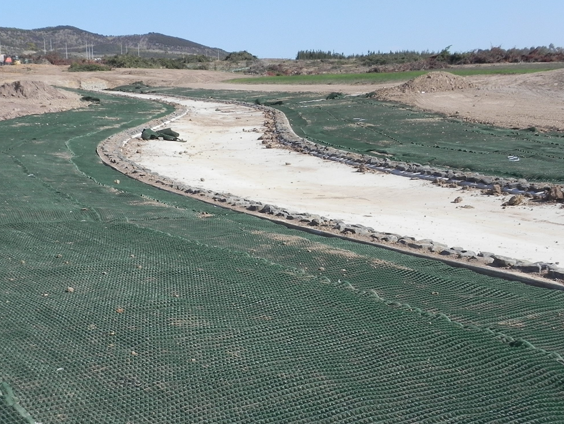 Pyramat® 75’s outstanding UV resistance makes it the preferred TRM in arid and semi-arid environments or other applications where soil reinforcement is needed but full vegetation is not expected. 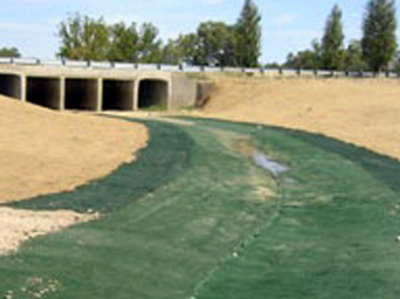 Uniquely designed for severe applications that require outstanding strength and superior vegetation growth Meets the definition of HPTRM as defined in the U.S. EPA Storm Water Fact Sheet, “Turf Reinforcement Mats”, and FHWA FP-03 Specifications, Section 713.18 Available in green or tan. 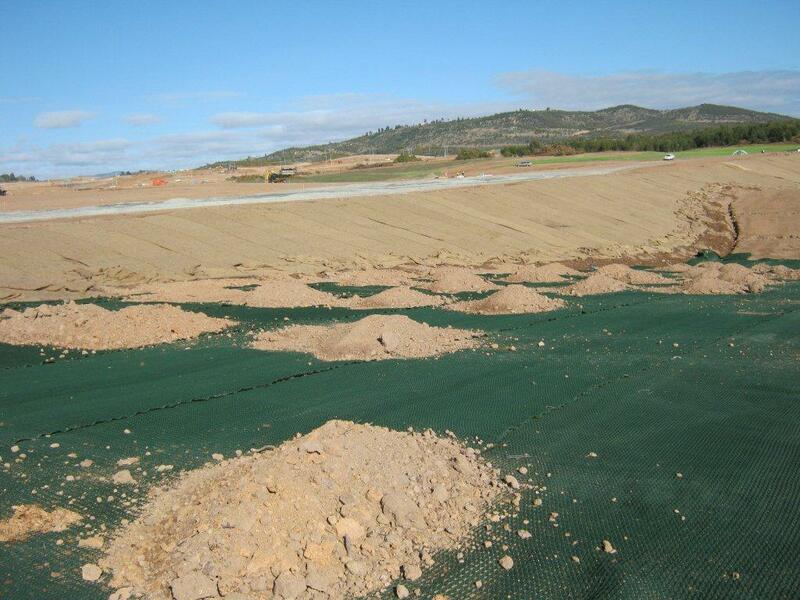 Increasing flows due to development saw the need to widen the existing drain as heavy flows frequently breached the existing drain banks.